In honor of our 75th anniversary, we’re sharing historic, innovative projects that we’re proud of and have achieved some of our generation’s most enduring legacies. In response to the airport security breaches that led to the fateful events of September 11, 2001, Congress passed the Aviation and Transportation Security Act, which was signed into law on November 19, 2001. This act is most recognized for creating the Transportation Security Administration (TSA). As a result of that legislation, TSA turned to the nation’s airports to develop advancements in security technology and processes. 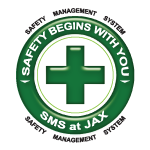 In response to the challenge, Jacksonville International Airport (JIA) pioneered one of the first integrated Explosive Detection Systems (EDS) in the nation to screen all checked luggage for weapons and other harmful chemicals, leading to a safer travel experience for passengers across the US. In order to uphold the law’s requirements, JIA embarked on a program that integrated certified EDS machines into the hold baggage screening and baggage handling system. These machines would screen all checked baggage throughout the outbound baggage handling conveyor and sortation system. 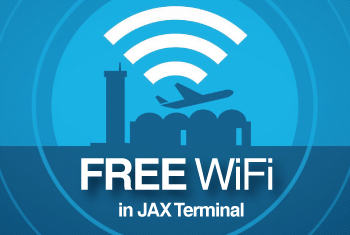 Partnering with JIA, RS&H began research by touring major airports in San Francisco, Amsterdam, Manchester, and Detroit, while receiving input from subconsultants Stantec and Ross & Baruzzini. According to Dan Clayton, RS&H Vice President and Project Manager, JIA’s proposed system design was selected because it was very proactive. 1. It exceeded TSA and JAA baggage screening standards and procedural requirements while maintaining efficiency of passenger and baggage processing. 2. Conveyor layout would be failsafe to ensure that any errors in bag identification resulted in rescreening or threat resolution room delivery. 3. A maximum of 10-minute baggage delivery time for bags that could be cleared by machine from check-in to baggage make-up room. Bags that were screened and cleared were to be separated immediately from the screening area and returned to the baggage make-up rooms. Molle said JIA is now on its third generation baggage screening system, recently implementing new EDS equipment. Still regarded as one of the most advanced in the country, JIA’s system includes a sophisticated multiple air carrier sortation conveyor. The system receives all airline checked luggage, either from the ticket counter or curb front, merges the bags into a single EDS screening room, circulates them through the screening process, and returns the bags to the respective carriers. Due to the project’s impact and innovations, it was honored by the Florida Department of Transportation as the Outstanding Airport Project of the Year in 2003. Since that time, RS&H’s baggage screening system designs have made an impact on terminals across the nation with industry-changing EDS, baggage screening, and baggage handling systems with the ultimate goal of safety and security for travelers.